Valerio Tocci along with Luca Simioni of Double View Mansions. The Double View Mansions in Pererenan, Canggu. An exciting new take on owning property in Bali. Fanni and Valerio Tocci along with Luca Simioni are on a mission. 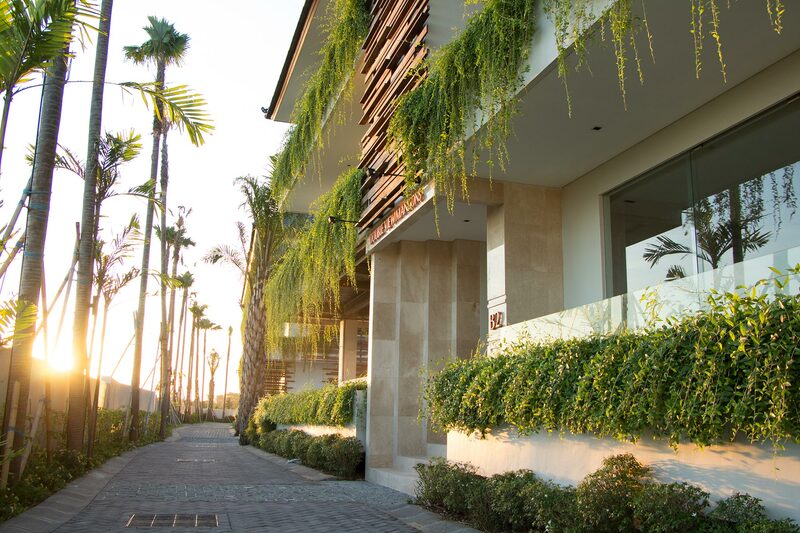 Together they form a partnership, which combines generations of experience with local knowledge and common sense to create The Double View Mansions (DVM), an apartment with a different concept (or two), in Pererenan. WILLIAMS MEDIA sat down with them to find out more. How did you get started in the property business? "It's in my blood," says Valerio. "My father and his father before him were contractors. And I was expected to follow in their footsteps. I didn't really have a choice," he explains with a broad smile. "Of course, I loved the business too. When everyone lives and breathes construction you pick up on some things so I decided to study Civil Engineering at the University of Trieste." "By chance, I fell in love!" says Luca, his arms outstretched. "My background is in banking, advising investors in international financial markets, but when my friends Valerio and Fanni insisted I see the plot of land they were looking to develop in Canggu, my life changed. When I went to see it I just loved the lush green rice fields rippling in the wind, the magnificent views of Mount Batukaru, a magical sunset over Pantai Lima beach and the sound of the ocean. I wanted to be a part of it. That's when I first felt Bali's beautiful magic." Not surprisingly, Valerio is inspired by his job. "I love to create," he says. "If you can make a good business doing what you love, find solutions to problems and be out in the fresh air most of the day especially in a place like Bali, then this is the inspiration. Asia's property markets are growing and there are great opportunities if you can see them. Luca also wants to do what he loves. "I've arrived at a turning point in my life," he says, "where I'm listening more to my instinct and intuition. Things that give me positive energy and makes me feel good about myself and it inspires me. And that allows me to feel and do good for other people." "Finding solutions and making people truly happy with what we create," might seem a simple answer, and on one level it is, but for Fanni, Valerio and Luca this goes deeper. "The Balinese culture and religion are different to anywhere else and this can create problems if you're not willing to learn and adapt. We have to change how we do things to fit a Balinese way," explains Valerio. "Finding solutions in Bali is a cross-cultural exercise. The best example I have is with the first local contractor I worked with here. He's still with me by the way! His name is Hendra from PT Indo Cipta Jayaloka. I showed him what I knew from a western technological aspect and he immediately understood and was able to adapt this to our local situation and resources. It was a beautiful thing to see and a great example of cross-cultural problem solving." What developments have you seen in architecture and design in the time you've been here? Things are definitely more modern than they used to be. Not just in terms of materials and products but also the ideas. And with that, the quality also improves. Bali used to be a sea of alang-alang roofs for example, but now the quality of material to maintain this style is not so good and we see fewer of them. What was the inspiration behind developing The Double View Mansions? Fanni explains that her boss at the time had a lovely villa but because he didn't live in Bali all the time it was not only difficult for him to maintain it but also impossible for him to keep the levels of service high. This is a common experience in Bali where so many villas are being built. We wanted to find a solution to this and create something new. "Serviced apartments make so much sense in terms of maintenance, consistent service quality, security and potential revenue streams," says Valerio. "When we first walked the land close to Pantai Lima in Pererenan we fell in love and knew what we had to do. That's when the idea for The Double View Mansions was born." Luca adds that within that "it was important for us to preserve the feelings we have with nature. Relaxing on your balcony or within the complex had to be connected somehow to the beautiful surroundings we're in." What makes The Double View Mansions so different? "Quality, location, unparalleled views and of course, price!" says Luca. "I don't know of anything else that ticks all of those boxes at the same time." Valerio is in agreement of course but goes on to explain "normally, when you invest in a property that's part of a managed complex you're restricted by the length of stay and when you can stay. This may be OK in more remote locations where it's just not possible to live full time but Bali's different. That's why we didn't want to have stay limits. And it's OK for owners to live at DVM full time." "We also wanted to address another problem many villa owners have; distribution of the income generated. Usually, management companies will take around 5% of GOP and 2.5% of gross revenues. Our management company model is simple as all real costs and taxes are paid by us and everything else goes straight back to owners. After 3 years this changes so owners will receive 70% of NGOP and we retain 30%." What pointers could you give to someone just starting out in business in Bali? Understand the law so you know what you can or cannot do. Sometimes people "forget" the law and try to find ways around it. Don't! You should start your business the right way! Do your job. Understand what Bali wants and needs and use your knowledge to provide solutions. Too many people here try to reinvent themselves and do things they have no qualifications for or experience in, and it doesn’t work. Respect Bali and its culture. We should never forget that as expatriates we are guests here. We are the ones that need to adapt. Is now a good time to be investing in Bali? Absolutely! It's a beautiful holiday destination with many more years of prosperous growth ahead. But for that to really take off and be successful infrastructure needs to improve and more attention needs to be paid to trash and waste management. 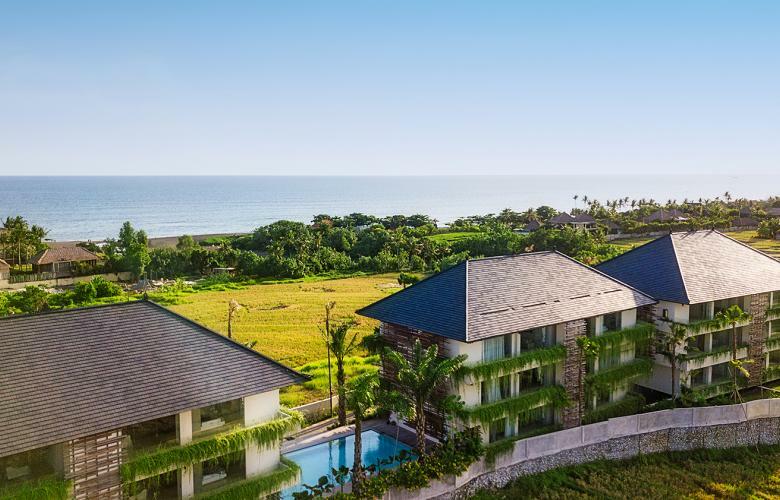 Are you seeing more 'eco-friendly' developments in Bali? A lot of people like to think they're being 'eco-friendly' just because they use bamboo or recycled teak, but they miss the point. It's something you should be taking into consideration at the planning stage and not as an afterthought. Having said that we do see more individuals rather than developers embracing 'eco-friendly' aspects where they can. For developers, it's often prohibitively expensive to do it properly. Some laws need to change, especially import tax laws, to make it more cost-efficient. At DVM, we do, however, use water management systems that have minimal environmental impact. A change in the rules, especially import taxes, to allow for more high-tech materials and products to be more readily available. Better infrastructure, especially as tourism numbers grow every year. More attention being paid to help and develop local communities and educate people to take better care of where they live. Stop throwing trash out of car windows would be an easy place to start. For more information including additional photographs, apartment specifications, and a virtual tour visit Double View Mansions here. To arrange a private inspection or to enquire about Double View Mansions email Joe White from DVM - Seven Stones Realty via the contact details listed below.